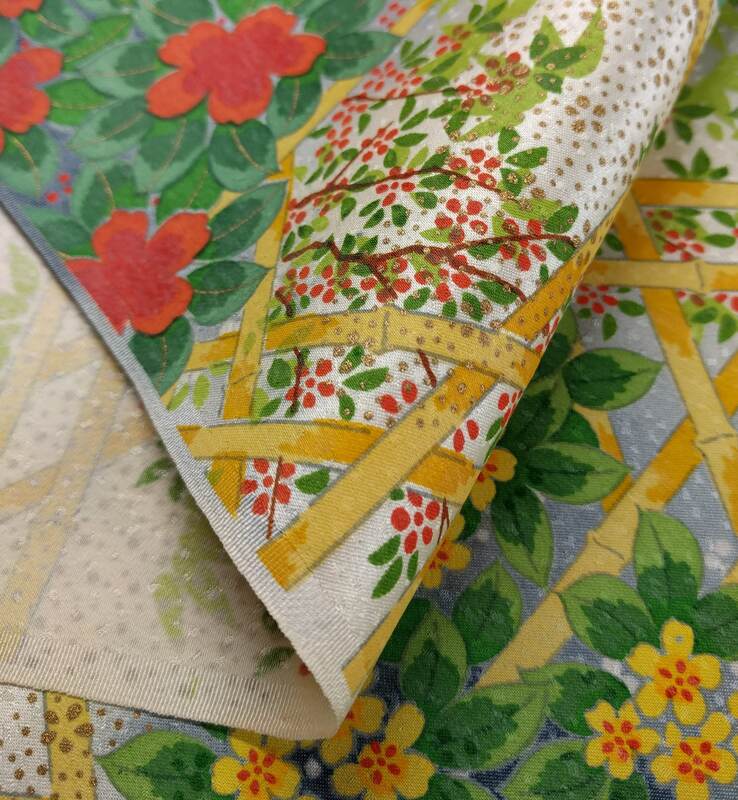 This beautiful silk fabric is unused, old stock and would make an amazing scarf, wrap, pillow case or skirt. It is in perfect shape. It can be used for apparel but please remember that kimono fabric is not as wide as other fabrics. 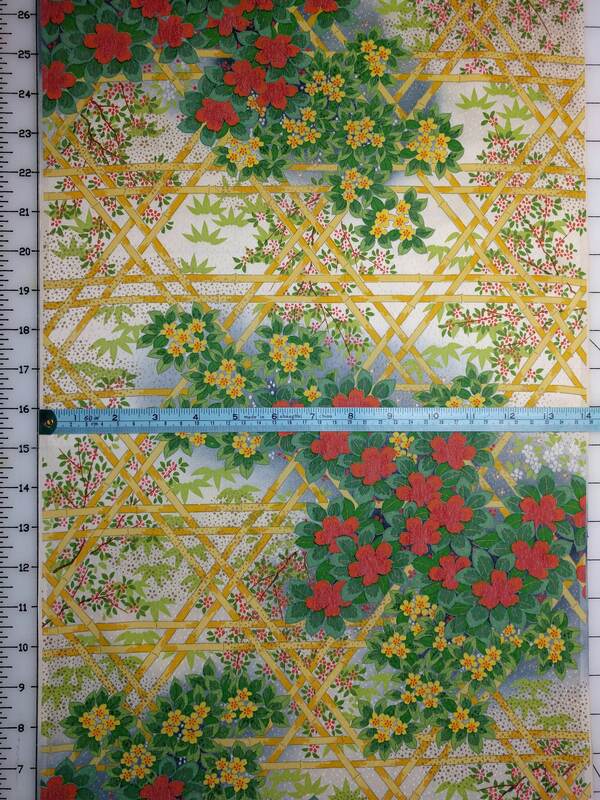 This silk has a gorgeous, printed garden trellis design. 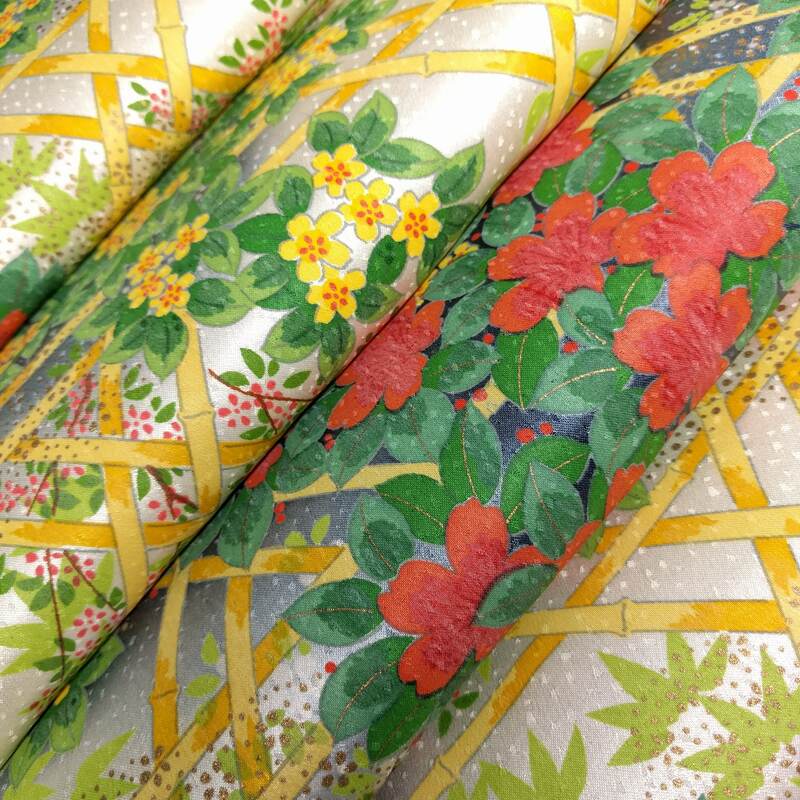 The design features red, yellow, white and dark pink flowers climbing over a yellow-gold trellis, green and light green foliage and green bamboo leaves. The off-white silk also has dyed silver-gray areas. Metallic-gold colored accents are also printed throughout the entire design. This silk also has a woven "pebbly" design so it has a slight texture. The silk has a slight sheen. 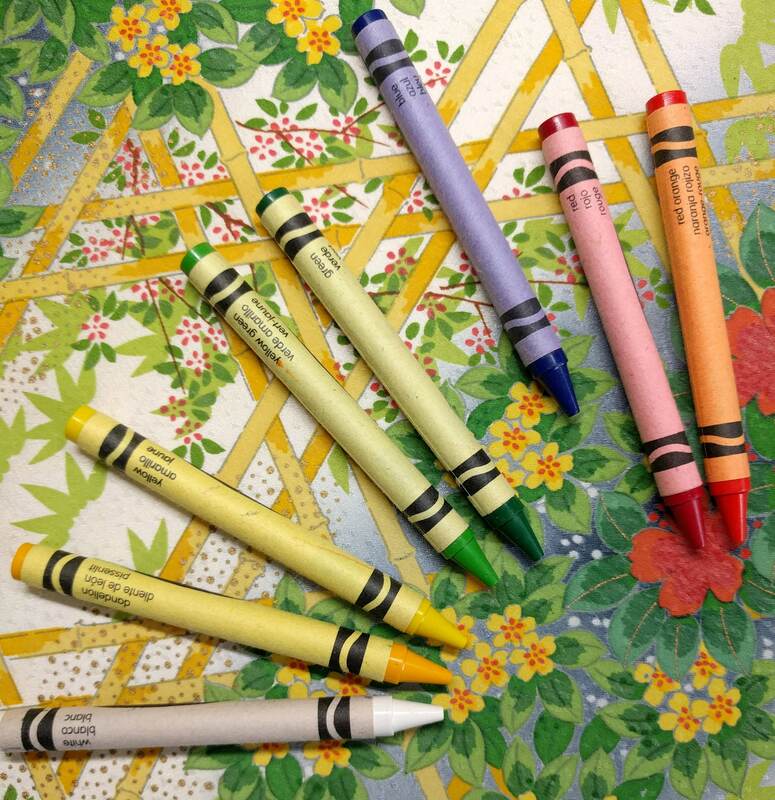 Crayola brand crayons were placed in the last photo for color comparison. Please enlarge the photos to see the wonderful texture and color of the silk. I believe that the pictures show a good representation of the fabric colors however, please remember that colors may look different on your monitor. This is a vintage item so there may be small blemishes or marks although, I do not see any. This item has been stored for many years so there may be a slight storage smell although I do not notice any. Fast shipping. Fabric is beyond my expectations. This is a beautiful fabric of a nice quality, true to its store description. It has some body, making it very suitable for the table-runner project I will be using it for (lining is needed as the fabric is lightweight). The fabric was shipped very quickly, on the next business day after the purchase, and arrived very well packed. I had a great experience shopping at this store.